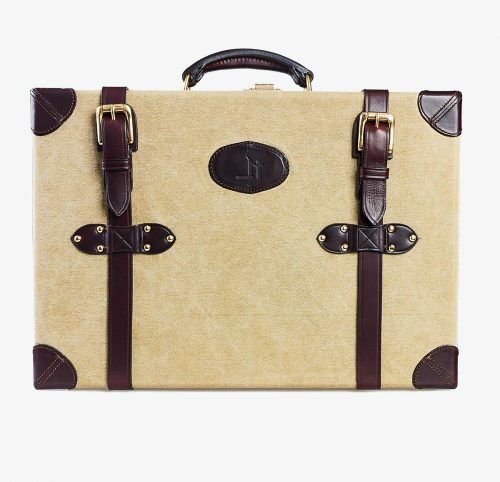 Step by step, the crafting of a piece of work, which combines years of tradition, come alive: smart suitcases and vintage style which reflect the current fashion sense. Exclusive product in three sizes. Completely handmade, covered and lined with leathers of the highest quality, over a structure of wood. Finishings, reinforcements and details went through a delicate fabrication process, resulting in a sublime piece of timeless beauty. 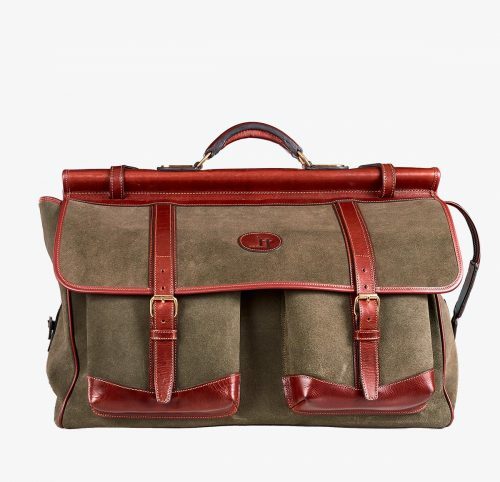 Travel bag made of green split leather, offering a velvety soft and pleasant touch; it is combined with honey-coloured vegetable tanned bovine leather. The inside is lined with resistant and elegant soft green canvas. The shoulder strap is adjustable for greater comfort and the top handle allows you to carry the bag safely and comfortably. The subtle details, the perfect finishing and the natural quality of the leather are a clear reflection of its artisan style. The style and design set fashion trends. 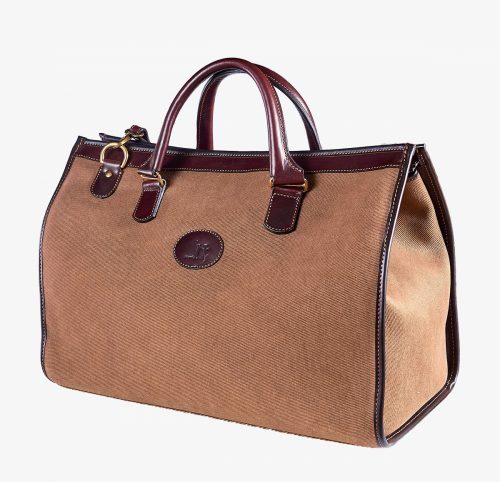 Travel bag made of soft brown canvas combined with details of vegetable tanned bovine leather. The wide inside is lined with soft green canvas and features a pocket with zip fastener at the back. The resistant handles allow for practical hand-carrying, and thanks to a removable and adjustable strap it can be also carried on the shoulder. 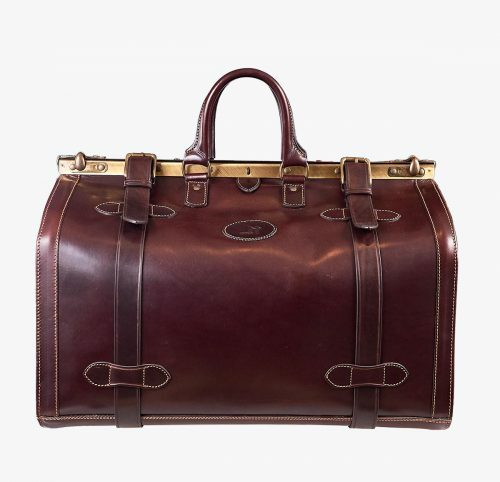 It represents quality, a timeless design and is also convenient as cabin luggage.